As a stay at home mom, I would tell you it’s not that easy to work at home with children. Most jobs whether online jobs or home business have deadlines to meet; others frequently require a lot of concentration which is not possible for most of the moms with kids below five years. Moms should not worry there are jobs for them to do while looking after their children. If you can afford to do part-time jobs, there is a lot of work that you can do until your kids are school aged. Just keep in mind that some days you may get nothing done. Am not an expert, but from my experience, I’ll give you a few tips for working from home with the baby. To work at home designate an area for your office. If your children are at home, make sure you don’t isolate yourself with them if you are the only one looking after them. Instead, create a unique area in the office and provide kids with toys to play with so as to keep their mind occupied as you work. Your office space should probably be your bedroom or dining table where you can organize your documents and have minimal disturbance. Once you have created the office space think about furniture, desks, and chair is one of the essential that you need. Moms should note that kids accept what they are used. As soon as you have given birth try to involve yourself in a task even if you don’t have a job to do. Make it as a routine and stick to it. If children see you working from the tender age, they will accept it as part of their daily routine. If your kids are engaged in an activity, it will be much easier to work uninterrupted. But this depends on age, and as a mom, you should understand every child is different so find things that will be an interest to your kid to keep her entertained. Find an activity that requires minimal supervision because you don’t have time to keep an eye on them. Kids get bored very fast so introduce different enjoyable activities as the day progresses so that they won’t stay focused for longer. The best thing as a stay at home mom you can do to achieve your daily goals is to schedule your time. Set time that you are going to dedicate to your office work probably this could be when your kids are asleep or when your spouse is at home to keep an eye on the children. Check Simple Stay Home Moms Schedule. You can decide to make to do list; write down the list of things to be done be it doing laundry, cleaning the house or making calls. Remember there are some tasks that you can do when kids are awake that require less concentration such as going through your emails, Facebook or Twitter account. Remember you are a stay at home mom. If you are like me who attends to all house chores alone, Choose work that you can take mini-breaks So that you can create time to do your house chores, feed your kids, and play with them. Have short sessions and extend them as your children become independent. It works well if you could do housework while the kids are awake. Make use of hours when your child is asleep may it be early in the morning or late in the evening. Evaluate yourself the best time when you are productive or fresh to work. If your kids are asleep, and you are exhausted don’t choose that time to work I always advise moms not to work when they are tired instead take a 30 min nap to feel relaxed to work. Note if there is something that helps me work until the late night is taking 30 min naptime when I feel exhausted. If you want to be a successful stay at home mom be organized. Make sure you take care of yourself first (shower and get dressed), you’re your working space clean and all work tools (computer and stationery) you need are available. Also, I plan my day ahead prepare a list of things to do the following day night before when I wake up I am not confused about where to start and what to do. As said earlier when your baby gets bored you can decide to keep them close. This benefits you and the baby. Babywearing frees your hand and keeps baby close to you at that time you can be checking your emails or attending simple duties. You can invest in a good carrier, sling or wrap to wear your little one. Also, Invest in hand free nursing pillow to help breastfeed your baby while attending other tasks. Moms you see it’s possible to work at home with kids. It’s up to you to decide whether you can become productive while you are at home looking after your children. Evaluate the situation and determine what works for you. 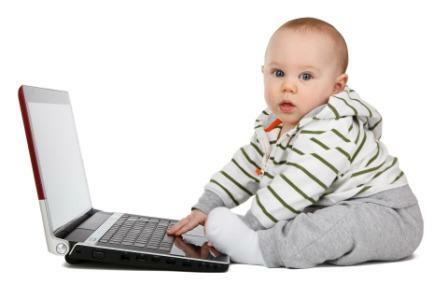 If you are Stay-at-Home Mom and you work at home share with us your tips for working from home with the baby below.